Exciting news. 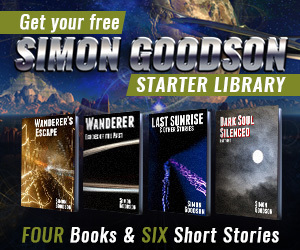 Wanderer’s Escape is now permanently free on Kindle (UK & US stores only), iTunes and Nook. If you don’t already own it then now’s your chance to grab it, and if you loved it please spread the word. And don’t forget that Dark Soul Silenced – Part One is also permanently free, as is Last Sunrise & Other Stories.